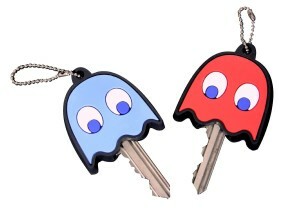 Pac-Man ghost key covers that go over the top of your keys and have a little chain you can use to attach to things like an key ring. For those that do not remember the ghosts are the main enemy in the retro video game Pac-Man, which was one of the earliest video games ever made. Comes in a pack of four. Four different color ghosts: red, blue, pink and orange. Aside from looking cool the bright colors and unique shape makes it easier to find your keys. Sweet deal. 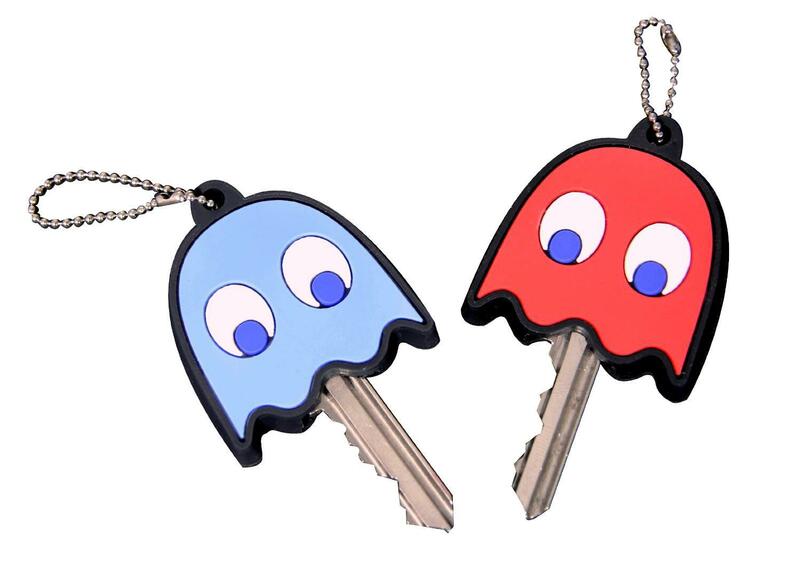 While most people buying this item would be doing so purely for the geek value of having Pac-Man ghosts on your keys the item actually makes it easier to find your keys so has a practical use as well. Certainly a good combination and given they come in a pack of fire it definitely makes it less likely that you will lose your keys. A very set of items for the price. There is not much that can really be said against an item like this because it is such a simple item. It fits nicely around the keys and looks pretty, which is all it really sets out to do. The only thing that might have been nice is if the colors changed when it was spun around in the same way they do in Pac-Man when you eat those things that make it so you can eat the ghosts. The short version is that it is a nice item and particularly good that it comes in a pack of four.